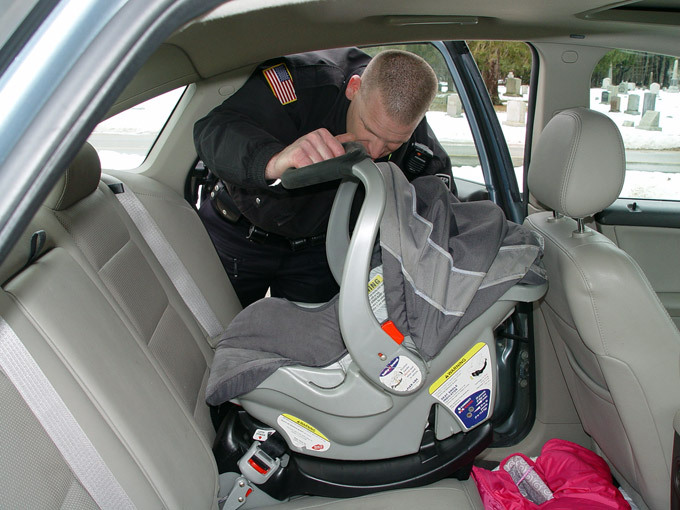 Over 90% of all child safety seats in Massachusetts are incorrectly installed. Motor vehicle crashes pose a tremendous risk for children. Seven children, 12 and under, were killed and approximately 5,000 injured in motor vehicle crashes in Massachusetts in 2002. When properly installed, child safety seats reduce the risk of death in a motor vehicle crash by 71% for infants and 54% for toddlers. Safety belts reduce the risk of death or serious injury in a motor vehicle crash by up to 50%. 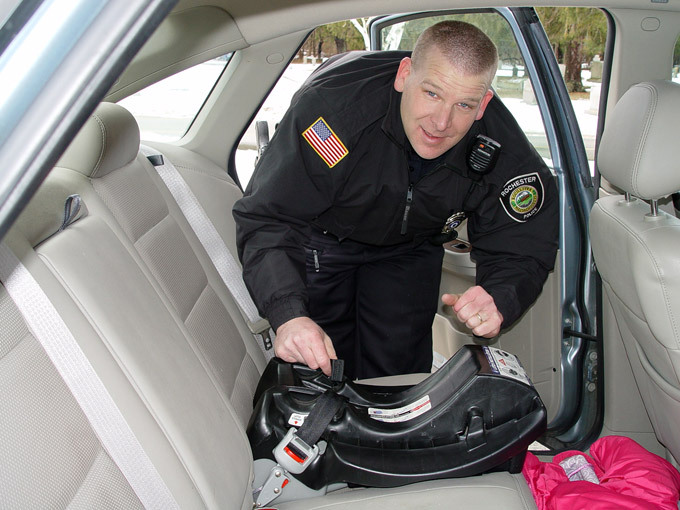 Officer Robert Nordahl is the certified child restraint system technician for the Rochester Police Department. He is available to assist you in correct selection and installation of all child safety seats. He can be reached by phone at 508-763-5112, Extension 162, or by email at rnordahl@townofrochester.com. For more information on child passenger, click the following link to be redirected to The Executive Office of Public Safety & Security Child Passenger Safety page. Section 7AA. No child under age five and no child weighing forty pounds or less shall ride as a passenger in a motor vehicle on any way unless such child is properly fastened and secured, according to the manufacturer's instructions, by a child passenger restraint as defined in section one. No child who is five years of age or older, but not older than twelve years of age, shall ride as a passenger in a motor vehicle on any way unless such child is wearing a safety belt which is properly adjusted and fastened according to the manufacturer's instructions. Physically unable to use either a conventional child passenger restraint or a child restraint specifically designed for children with special needs; provided, however, that such condition is duly certified in writing by a physician who shall state the nature of the disability as well as the reasons such restraints are inappropriate; provided, further, that no such certifying physician shall be subject to liability in a civil action for the issuance of or for the failure to issue such certificate. An operator of a motor vehicle who violates the provisions of this section shall be subject to a fine of not more than twenty-five dollars; provided, however, that said twenty-five dollar fine shall not apply to an operator of a motor vehicle licensed as a taxi cab not equipped with a child passenger restraint device. A violation of this section shall not be used as evidence of contributory negligence in any civil action. A person who receives a citation for a violation of any of the provisions of this section may contest such citation pursuant to section three of chapter ninety C. A violation of this section shall not be deemed to be a conviction of a moving violation of the motor vehicle laws for the purpose of determining surcharges on motor vehicle premiums pursuant to section one hundred and thirteen B of chapter one hundred and seventy-five.